Officially, as a pillar of the community, I have little tolerance of swear words. I expect high standards of literacy from my students and about 90% of the times that they hastily mutter a tirade of swear words under their breath, there are usually at least a dozen better ways of expressing their displeasure at their situation. However, as a Drama teacher I often find myself in situations where my students are enacting real life on stage and whether we like it or not – in life people swear. It makes perfect sense that an actor enacting a role may use language that is not natural to them and I refuse to censor my students. However I would never force them to use language that they are uncomfortable with either! This is an issue that arises particularly, although not exclusively, in GCSE and A-Level classes. In terms of the examination, the language/dialogue is part of their overall characterisation and as such must reflect the people inhabiting the world of the play. It would be ludicrous for a student playing the role of a builder who upon dropping a hammer on his toe exclaims the words “Oh golly gosh, that stings a bit!” A hormonal teenager does not necessarily profess his or her desire to “make love” and sometimes the only means of aptly describing the behaviour of the less savoury human beings in life requires language that I would shudder to read on a public lavatory wall. Swearing has its place. As with all things it loses its power out of context or with overuse – but like it or not it is part of our verbal communication and provides a means of expressing our true intent and meaning in a manner that is just as valid as the flowery romance of a renaissance poet, the rhetoric of a politician or the persuasive language abundant in modern advertising campaigns. I frequently quote the taboo words in the context of my lessons. By quoting swear words directly from texts and removing all the emotion from my voice and face I manage to diffuse the impact of these words. Nothing makes a swear word less evocative than hearing your teacher say it in a neutral tone with a blank facial expression! After all if we arent shocked by it, what is the point of saying it? I am also explicit with younger classes who show up on occassion to provide exam groups with an audience and I warn them about the adult content and language. I remind them that we only invite younger audiences to view work if they are mature enough to respond responsibly. It is worth noting that I have never had so much as a giggle from an audience member when a swear word has been used during a performance and I am confident that this is because I tackle it head on. Swearing has a time and a place – in moderation – just like any other type of language. Sadly; as is the case with so many other things in life, we cannot protect our children from “bad language” altogether. We can simply educate them about finding alternative means of expression. I am not suggesting by any means that we should either encourage or discourage swearing; but attempting to pretend it does not exist or wipe it from existence is as futile as holding back the tide. The bigger our reaction – the more likely it is to become a major source of rebellion and conflict. In summary: To hell with censorship – LIFE IS TOO F”*KING SHORT. Where the hell did my weekend go? When I was doing my degree I lived in temporary student accomodation. I wanted to make my space feel like my own so the walls were adorned with posters including my favourit one (shown above). I would spend my evenings admiring the male model immortalised in black and white and hoping, just hoping, that one day I would have one of my very own who would meet the requirements laid out. It has been many years since I spent my evenings admiring this handsome man on my wall and my life has changed since then in ways I never thought imaginable. Some of the things I hoped for worked out and others fell by the wayside. Thats life. I like to think that the things that were most important were the things I succeeded in achieving. When I am off school with lots of time to fill for a week or a fortnight I go into a bit of a reality TV induced coma. There is little to watch on TV during the day of any substance, I only tend to read before going to bed and as the weather has been pretty dodgy I dont particularly want to go out anywhere for fear of being caught in the rain. 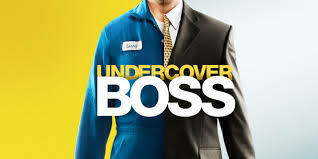 Over Easter I discoverd a new guilty pleasure to add to my repertoire Undercover Boss. This is a fantastic idea! The CEO of a major company goes undercover taking on the more menial job roles for a week and trying to get a feel for how employees really feel about the company they work for. They adopt a false name and identity to fool employees and wear a disguise so they are not recognised. Their employees are told they are on a reality show (usually called Second Chances), to justify the camera crew. Most start this process with a certain amount of confidence, believing that they will rise to the ocassion and meet all the challenges they are faced with and that their employees must tackle every day. However, even the CEO’s who started at the bottom level of their company and worked their way up over time, are often shocked by how demanding, dangerous and demoralising some of the work actually is and by the end of the process they are forced to reassess their pay structure, benefits program and company ethos. Although there have been one or two shows where a dissatisfied employee has been caught out for their negetive attitude or poor working practice; the focus is mainly positive and the CEO’s are able to develop empathy and make positive changes to improve working conditions of all staff. Wouldn’t it be great if all employers tried this? There are difficulties faced by employers at all levels in a company – the board room included – but when staff are promoted to the lofty heights of senior management they can quickly forget what it is like to work on the front line and can develop unrealistic expectations. Another aspect of the series that I like is at the end of each episode when the CEO reveals his/her identity and offers gifts to staff they have worked alongside, to recognise their individual efforts and ease their struggles. 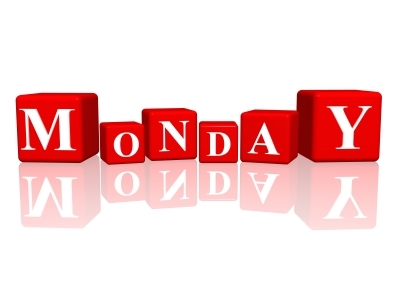 Gifts include: paying for courses and training to aid progression, promotion, new resources for their business, holidays, cars and even large cheques or donations to charities. It is wonderful to see the reaction to these gifts and to consider how they can improve the lives of the lucky recipients. It is all too easy for bosses to get caught up in the boardroom and lose touch with those at the bottom. It is great to see them abandoning their suit and tie and rediscovering the company they run and the people they manage. 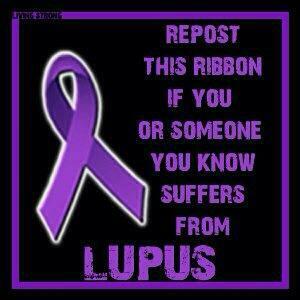 I discovered an image shared by a friend on Facebook today raising awareness of the condition, LUPAS. I have dutifully shared this but to be honest it is not a condition I know a lot about despite the fact that I myself was diagnosed over 10 years ago. Embarrassingly, most of my knowledge about the condition comes from American TV series House starring Hugh Laurie. My understanding from this show is that although doctors test regularly for LUPAS, it is almost never what the patient is actually suffering from. Before my diagnosis I visited my GP about the fact that I was losing my hair. At the time I honestly thought he would recommend more iron in my diet or some other smple fix for what I viewed as a trivial asthetic problem. I was not expecting a biopsy. The diagnosis shocked me at first, but I resolved not to research the condition furthur. I do not want to ever be defined by an illness. I refuse to allow a medical condition to hinder my day to day life. My Mother gets most upset with me about this and thinks I should slow down and when I am rundown that I should consider whether my condition is playing a part. When I was first diagnosed I used anti-malarial medication that made me feel ill and I stopped eating – screw that! Who wants a cure that is worse than the original condition? I do not want any furthur information about LUPAS as I do not want to suffer imagined symptoms simply because I have read them on a website. However I do suffer from fatigue and occassional depression because of this condition, I am extremely sensitive to extreme temperatures and I have a bald spot on the center of my head where hair will never grow back due to clinical scarring. It is difficult when you have a condition that is invisible to the rest of the world and when I try to explain it, the most I can say is “I get cold in winter, hot in the summer and feel tired sometimes”. Who doesnt? God willing I will never experience the more agressive symptoms associated with LUPAS, as if I do I may need to confront this condition head on. But for now it will not become who I am and I will continue to push myself accepting it as a minor irritant but not a major issue in my life. As I have mentioned in some of my previous posts; FFOMC is a man of simple pleasures. He asks for very little really and is generally easy to keep happy. As long as he has the following things: beer, an internet connection and easy access to his pyjammas and slippers when he gets home from work in the evening; he is perfectly content entertaining himself and is relatively low maintaince. He does however allow himself the occassional treat. One of his indulgences is a packet of his favourite sweeties: “Smarties“. In truth, I don’t know why he is so found of these particular sweeties, maybe it goes back to a happy memory from his childhood. He usually eats very little chocolate, but for whatever reason, a packet of Smarties is his one request on my infrequent shopping trips. We have a fab off-licence just over the road from us called the Bottle and Basket. It is a small family run business, (like so many of the shops and take-aways in our area), and the guy who runs it delivers the most outstanding customer service ever! The access to these small family enterprises is one of the reasons I love living where I do. It is nice to live in a community that thrives on small businesses rather than the big brands and high street stores; unfortunately my community is one of a dying breed coming, coming close to extinction due to the current economic downturn. But FFOMC and I like to do our bit to support these local businesses rather than the bigger less personal options. Unfortunately FFOMC’s love of Smarties, and my love of indulging him, has left me in an embarrassing situation at The Bottle and Basket. It would seem that only smarties with the letter J on the end of the tube are an acceptable choice. Any other tubes of smarties are clearly hallmarked for other people. I dont know if you have ever stood in an off-licence, holding up the queue because you are deconstructing their sweetie display (which, let’s face is, is not the most profitable aspect of their business); searching for a packet of smarties with a J on the end. But in my experience, it appears to be frowned upon. When you have repeated this exercise for such a significant number of visits that the off-licence owner feels obliged to go to the store cupboard to bring out the stock that is not currently displayed on the shop floor so he can actually feed the madness and assist with your search; then you know you have crossed some sort of line. 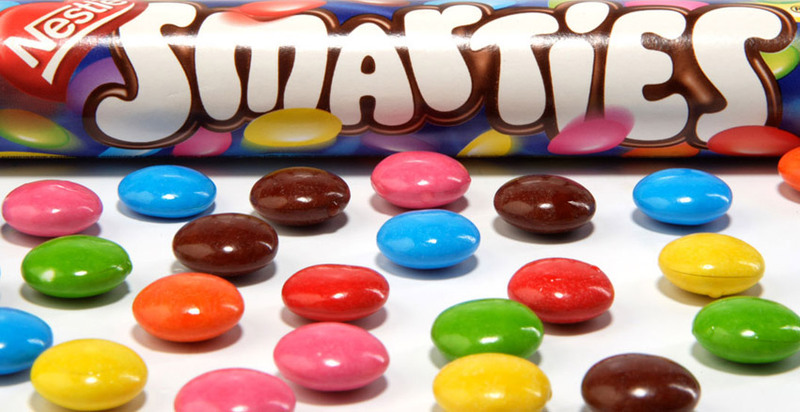 To the best of my knowledge – Smarties do not actually taste any better when they are packaged in a tube embossed with your initial – but I do know is that sighs and comments will be made if I come home with the “wrong” packet. Question: “How can you irritate your wife and compromise her position as an upstanding pillar of the community and perfectly normal human being in one simple shopping trip? Answer: Ask her to pick up a packet of Smarties!